Tirau - the town that everyone knows and loves! This iconic NZ country town is a favourite to stop in for a relaxing coffee and stroll through the shops and perhaps an ice cream too (or a piece of our Heavenly Fudge!). Our friendly team would love for you to come in and share our magical store with you. The store becomes their second home in November and December. This store sees many regular customers from around the country, often people that are travelling stop in and say hi. Why don't you do the same next time you are in this lovely town. With an array of trees, decorations and collectables we strive to provide you with high quality products for your individual requirements. Since 1986 we have become somewhat of a Christmas tradition. When you need traditional, luxurious decorations and embellishments, there is only one place to go. 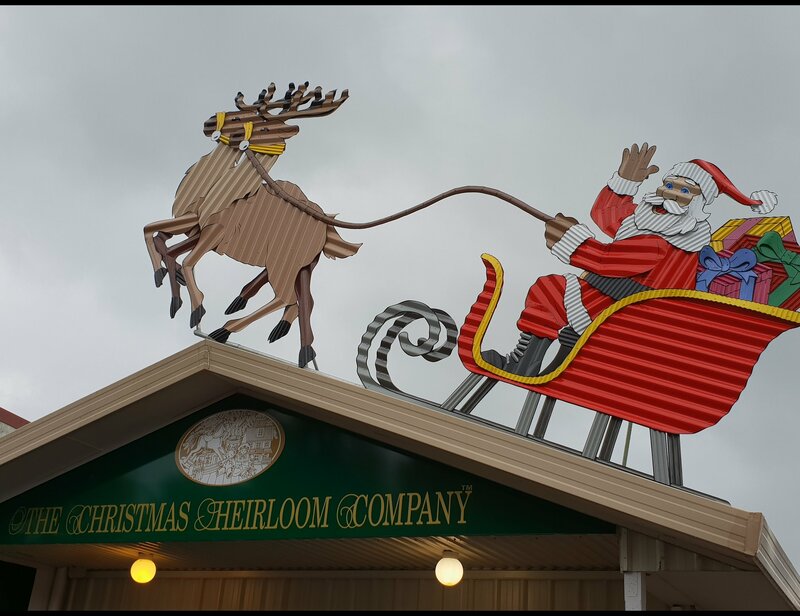 The Christmas Heirloom Company store's are truly a magical experience. People love to visit and they are amazed at the beauty, wonder and dazzle of our displays. With the vibrancy of red, the grandeur of gold, the boldness of blue and the use of evergreen trees and foliage our stores enfold you into the magical world of Christmas. Our Tirau store is open year round. Pop in and see our magical store at 29 Main Road, Tirau.